Scalloped details on the two doors, on the two drawers, and at the base offer cottage style charm to this accent cabinet/console table. 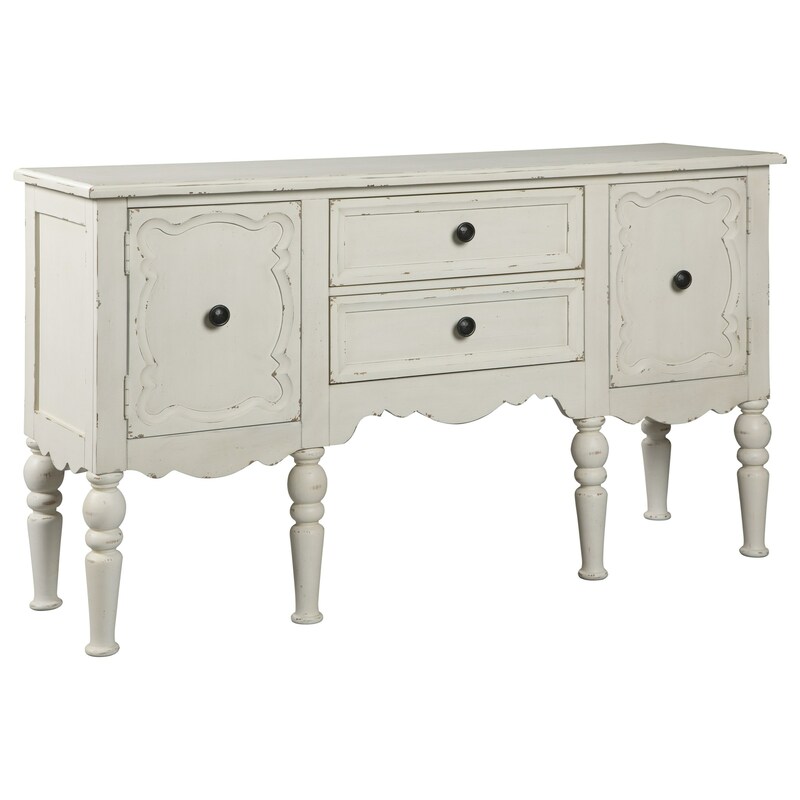 Its antiqued white finish and turned legs are the perfect finishing touch. Stay organized in a farmhouse style decor with this storage piece. The Loumont Cottage Style Console/Accent Cabinet in Antique White Finish by Signature Design by Ashley at Miskelly Furniture in the Jackson, Pearl, Madison, Ridgeland, Flowood Mississippi area. Product availability may vary. Contact us for the most current availability on this product.